Staff governors can influence foundation trust policies, as community district nursing sister Janet Briers has discovered for herself. ‘I saw being a nursing staff governor as the first step towards making a difference,’ says community district nursing sister Janet Briers. 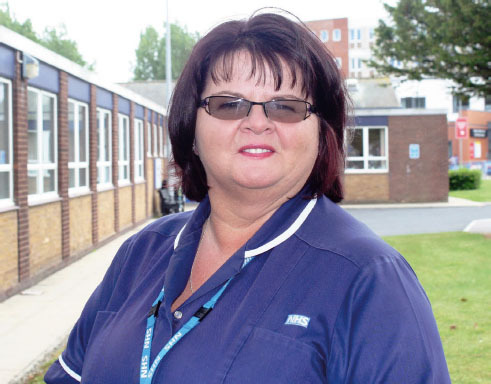 After finding out about the governor post at Blackpool Teaching Hospitals NHS Foundation Trust through a trust-wide email, Ms Briers applied for the role because she felt ‘the voice of community services needed to be heard’. ‘I wanted to represent community nursing at the trust to make sure the issues faced by patients and staff were aired,’ says Ms Briers. She now performs the staff governor role in addition to her nursing duties. The application process for the post involved writing 500 words of supporting evidence about why staff should vote for her, including why she wanted the job and what she could bring to the role. ‘It was about selling myself to trust members and colleagues, so I made sure I mentioned that I have 100% passion for my job,’ she says. Trust staff were then sent a ballot paper, and Ms Briers was delighted to receive text messages saying ‘I’ve voted for you’. She then received a letter telling her she had got the role. ‘I was honoured that people had taken the time to vote for me. But I was also petrified, and thought “what have I got myself into?”,’ she says. Like all new governors, Ms Briers had support from her trust to learn about her new role. She took external courses on how to be a governor, how to deal with challenging questions, and how to hold the trust to account. Her responsibilities in the role include attending annual board meetings and quarterly meetings to review any issues, from trust finances and staffing levels to car parking (see box). Staff governors represent the views of people in their local constituencies and hold the trust’s board of directors to account. Their responsibilities include attending board meetings to discuss – and potentially challenge – issues that affect patients and staff, such as trust finances, purchasing new services, stafflevels and car parking. The outcomes of these discussions are then passed on to colleagues. Being a staff governor means juggling clinical work with the demands of the role. While the amount of time spent on the governor role may only amount to a week’s work carried out over a year, it is helpful for nurses to advise their managers if they are considering becoming a governor, and to ensure they have their support before applying for the role. The staff governor role may be advertised via a trust-wide email. Nurses interested in applying may be asked to fill in an application form, and possibly provide a supporting statement on why staffshould vote for them. Applicants chosen for the role may be asked to take part in external training courses. These would most often cover how to be a governor, how to ask and respond to challenging questions, and how to hold trusts to account on issues related to staffand patients. Being a nurse governor can widen nursing knowledge, and enable individuals to understand the strategic and financial issues involved with running a trust, as well as the external influences on services. The role of nurse governor can help an individual to gain fresh insight into the experiences of patients, and help them to ensure these patients’ voices are heard. She also strives to make discharge from hospital into the community smoother, and is involved with a trust committee that focuses on staff wellbeing. ‘Being a staff governor has improved my nursing knowledge, and allowed me to look at strategic and financing issues to see the bigger picture,’ she says. She wanted to find out more about what happens at board level, and to represent staff in decision making at the trust. After a successful application, she now attends quarterly governors’ meetings and seminars on trust developments, then brings this information back to her department. She is involved in a ‘back to the floor’ initiative, where governors talk to patients and relatives about their experiences at the hospital. 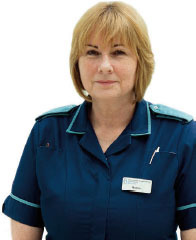 ‘As a matron, I would be in uniform talking to patients. But when I am wearing ordinary clothes as a governor, patients find it easier to talk about their experiences,’ she says. Being a governor has also exposed Ms England to trust directors, which she says is ‘fantastic for networking’. She believes other nurses should consider a staff governor role. ‘It is important to see how your trust is developing, and to be part of the decision-making process’.